The Government of the Czech Republic approved on November 9, 2015 the pilot project the purpose of which is to simplify the entire procedure of granting Czech blue cards (the cards which allow the employment of highly qualified employees) to Ukrainians. This project was subsequently extended and since September 19, 2018 it includes highly qualified employees from India. The main reason to establish this project was employers’ demand for acquisition highly qualified workforce. The domestic labor market did not provide the employers the opportunity of fill vacant positions in the industry where high qualifications of the employee are required. If an employer has made the decision to enter into the project, he must complete the following conditions: foremost he must receive the recommendation of the Czech business organization (e.g. Czech Chamber of Commerce, Association of Small and Medium-Sized Enterprises and Crafts CZ, The Investment and Business Development Agency CzechInvest, etc.). In case of professions within the healthcare system, the recommendations reported above are not required. The business of the applicant must be in existence for at least two years before the application. The applicant must be a tax resident in the Czech Republic pursuant to Act No. 586/1992 Coll., and a payer of health and social insurance. If the applicant is a private healthcare provider, it is obligatory to prove it by a certificate of registration of a non-state healthcare facility. The employer must have no records of any violations in the field of labor law regulations. The employer should not have any financial obligations towards the Czech Republic (e.g. tax arrears, social or health insurance arrears, etc.). For the registration in the program, the employer, by an affidavit, must confirm the following: 1. during the 2-year period before filling of the application the employer employed at least 3 employees in the Czech Republic, 2. a full-time employment of the highly qualified employee will be set up for a period of at least one year and, 3. the employee will receive a salary which is equal to the average earnings according to Czech CZ-ISCO employment sub-groups or minimum salary stated for Blue cards (i.e. CZK 354.048 per year). Employees inside the healthcare system have their own special conditions for remunerations. The employer can apply for registration in the program only if he has already chosen the employees from Ukraine or India. The application for registration must be submitted through the relevant form and the employer must also state the number under which the vacant job currently registered at the Czech Labor Office. In case of the positive approval of the applications, the Ministry of Industry and Trade (for healthcare professions, the Ministry of Health of the Czech Republic), will issue the confirmation of registration into the project. The job applicant (with Ukrainian or Indian citizenship) must visit the relevant Czech Embassy for the application procedure at the appointment date that has been assigned to him/her. The job applicant(s) must submit the application with their passport, a photo, the number under which a vacant job is registered at the Czech Labor Office, and an affidavit from the employer that he is a specialist that meets the requisite qualifications (in the case of healthcare professions instead of this there must be the certificate of the equivalence and validity of the education (nostrification) and the authorization to perform a medical profession in the Czech Republic issued by the Ministry of Health of the CR). As the last attachment of the application there must be provided the employer’s affidavit stating that the specialist is necessary for the employer’s activities in the Czech Republic. The application can only be submitted to the Embassy of the Czech Republic in Kiev for Ukrainians and the Embassy of the Czech Republic in Delhi for Indians. The annual quota of applicants is limited to 500 applications from Ukraine and 500 applications from India per year. According to the statistics of the Ministry of Labor and Social Affairs, the amount of 453 Blue cards was granted to the Ukrainians until October 1, 2017. We will find out soon whether the Czech entrepreneurs are interested in Indian employees. 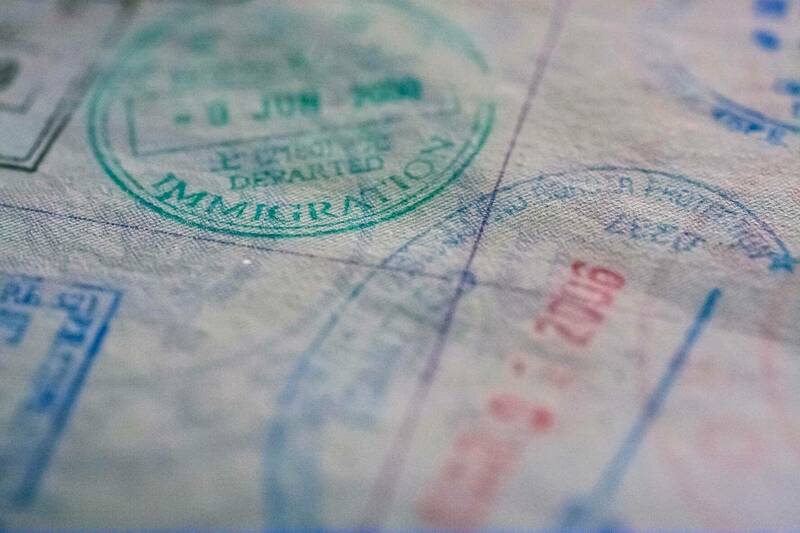 Rutland & partners law office is highly specialized in the Czech work permit matters and can assist for Czech employers or foreign employees with their Czech work permits. rutland & partners, advokátní kancelář s.r.o.